Silicon Valley start-up darling Kno, which had big plans for its line of tablets targeted at college students, has decided to throw in the towel — at least on the hardware side of things. According to an in-the-know anonymous source who spoke with All Things D, Kno executives are in talks with two “major consumer electronics manufactures” about selling their tablet production business. They will instead focus on developing their education-centric software for use on Apple’s iPad and on Google Android-based tablets. Apparently, Kno execs saw increasingly stiff competition in the rapidly-growing tablet market — which includes many major computer and mobile manufacturers, including Apple, Microsoft, Dell, HP and Motorola, among many others — on the horizon, and decided to cut their losses. It is not yet clear which companies Kno has begun talks with, but they have reportedly signed a non-disclosure agreement with at least one of them, whoever they are. Announced last November, the Kno tablets were built with students in mind. The company originally planned to offer two models, one single-screen measuring 14.1-inches, and one dual-screen device, with two 14.1-inch screens. The screens had a 1440×900 resolution, and the device came loaded with 512 MB of memory and was powered by either dual-core ARM Cortex A9 MPCore CPU or an Nvidia Terga T200 CPU. The devices cost $599 for the single-screen model, and $899 for the dual-screen device. 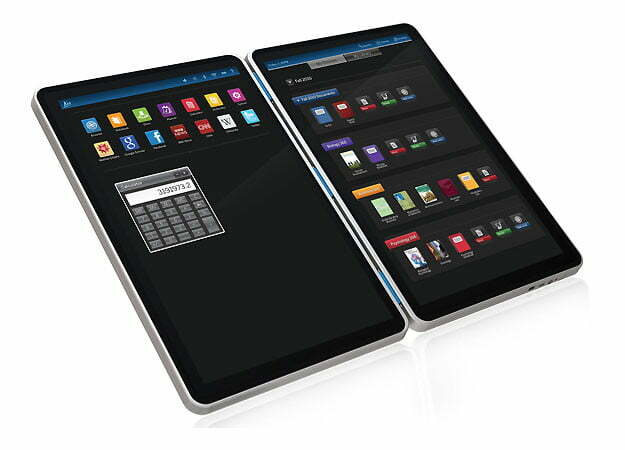 The Kno tablets, which had been available for pre-order, were supposed to begin shipping by April 14. None of the pre-orders are said to have been fulfilled, though a few hundred of these devices were reportedly shipped. The company has since halted shipments.